When Dr. Andrea Steele-Baumann first met Stearns Bank account manager Cathy Reis, she felt like she had already known her for years. 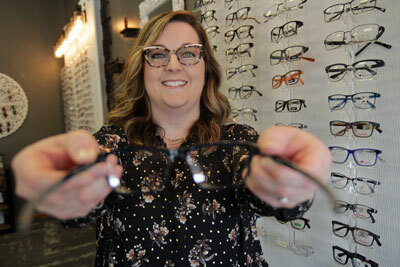 Dr. Steele-Baumann, who owns Mid-America Vision Center in Hebron, Nebraska, was attending a tradeshow in March 2018 and was referred to Cathy by Walman Optical Equipment for possible equipment financing assistance. 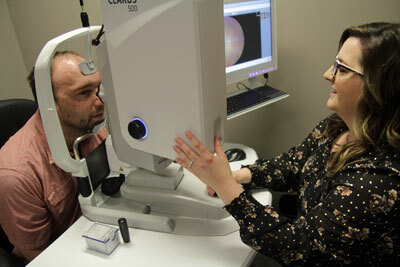 Dr. Steele-Baumann was looking for a new lane of equipment, refractor, visual field and fundus camera for her recent purchase of Mid-American Vision Centers in Hebron. She had worked for the previous practice owner for 10 years and transitioning into small business ownership was a lot of work. With help from Cathy and Stearns Bank, purchasing her equipment wasn't too challenging. “I was impressed by how effortless Cathy made such a big purchase. I was overwhelmed when I bought the practice in January. Two months later, I was getting all new equipment for our office. I didn’t know if I could afford it. But Cathy worked with me and helped me find exactly what I needed,” Dr. Steele-Baumann said. The business side of owning a practice was something Dr. Steele-Baumann wasn’t familiar with. 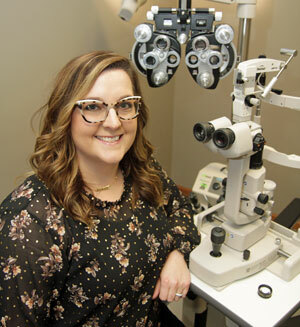 The equipment Dr. Steele-Baumann financed is helping improve her ability to diagnose any eye health issues that her patients might have. Hebron, a town of less than 2,000, is located just 10 miles north of the Kansas-Nebraska border. Using state-of-the-art technology provides value to Steele-Baumann's patients and gives her an edge on the competition. “We are very rural here,” she said. “This equipment is helping me diagnose issues I couldn’t before. I hope that gives our patients peace of mind, knowing I can handle things for them right here. They won’t have to travel to another specialist 90 minutes away. Any technology that I can bring into my office, and treat them here at home, is a big benefit to them.